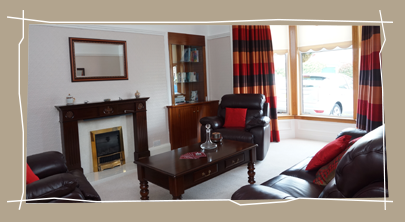 Arisaig Guest House is a blonde sandstone Victorian villa ideally located a 10 minute walk (or 15 depending on how fast you walk!!) 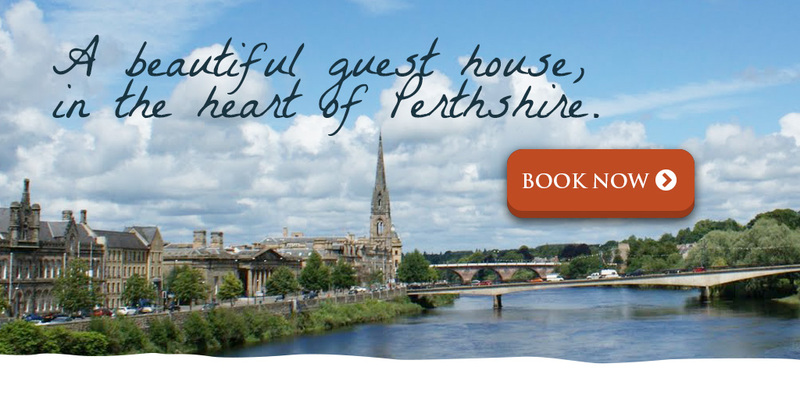 from the centre of the beautiful city of Perth in Scotland. 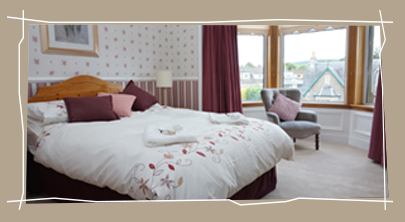 Arisaig Guest House offers all our guests an enjoyable bed and breakfast stay, a comfy cosy bed with a delicious hearty Scottish breakfast. 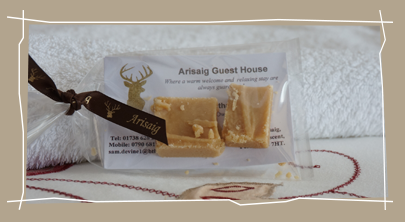 We have 5 guest rooms, all of which are en suite and have a TV, hairdryer, tea and coffee making facilities, free WiFi, fluffy towels and luxury Scottish toiletries, and a wee treat of home made Scottish tablet for everyone. After a good nights sleep at Arisaig Guest House you will be ready for a mouth watering hearty Scottish breakfast, we source as many of our products from local producers and farms , so that the flavour and quality is the best and the taste is great. Our Scottish breakfast will set you up for your days adventure. Perth has a wonderfully diverse array of restaurants, cafe’s, bars and boutique shops. In the centre stands Balhousie Castle, with its wonderful museum, shop and cafe, and St John’s Kirk, one of the oldest functioning churches in Scotland. 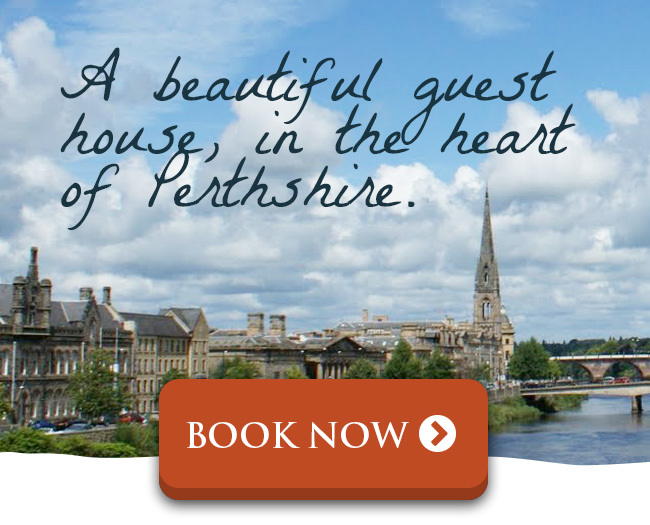 A short distance from Arisaig Guest House lies the breathtaking Scone Palace, where many Kings of Scotland were crowned, and just along the road is the famous Perth Race Course. Arisaig Guest House is delighted to welcome single travellers to group bookings, everybody is welcome.